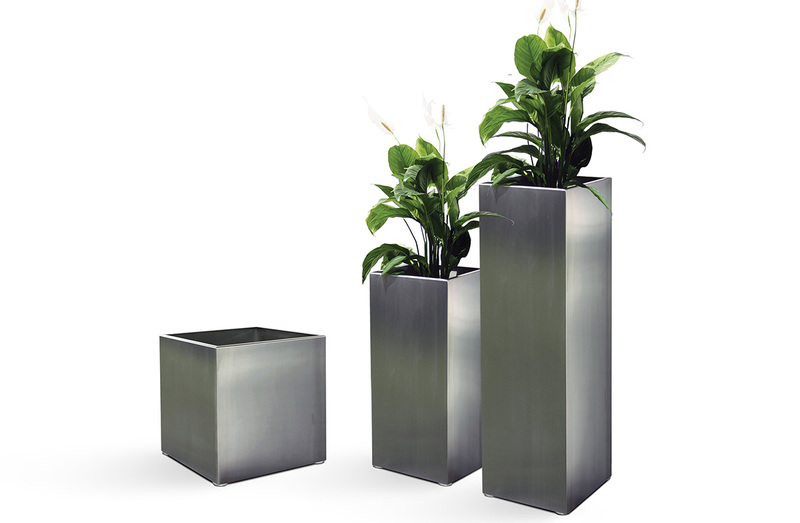 Indoor / outdoor planter in stainless steel in a range of finishes. Available to order in a choice of three sizes. Stainless steel in: Brushed, electro polished, or powder-coated finish in: white, cendre, or black finish.